Those who campaigned for Britain’s leaving EU believe it would have been better to have had a PM who actually campaigned on behalf of Brexit conducting these negotiations. But we are where we are, says Dr Julia Reid, UKIP MEP for South West. It's now a one-horse race to be Britain's next Prime Minister and leader of the governing Conservative party. 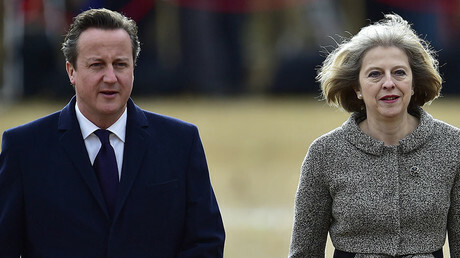 Home Secretary Theresa May is now lined up to be the second woman to take over at Number Ten after her remaining rival Andrea Leadsom pulled out. RT spoke with Dr Julia Reid, UKIP MEP for South West, for her views on the latest developments with regards to Brexit. Dr. Julia Reid: We were disappointed that Andrea Leadsom decided to withdraw from leadership campaign because she did campaign very successfully on behalf of Brexit... Theresa May said "Brexit is Brexit", but we are a little bit worried. RT: Pretty much everyone who pushed for Brexit has now walked away. 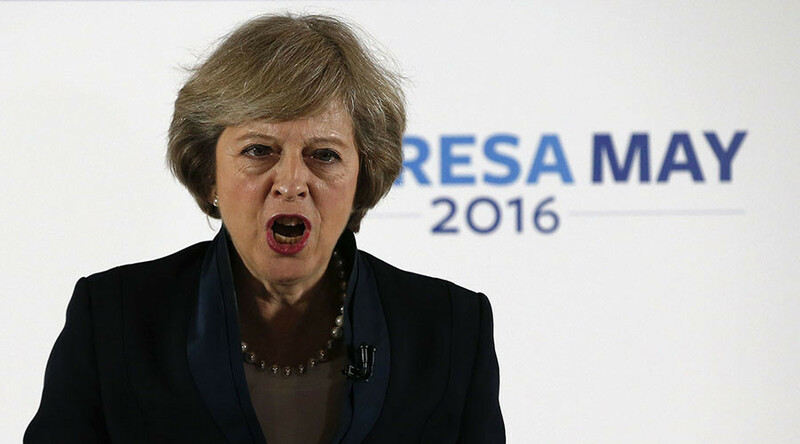 Given that Theresa May was a reluctant ‘remain’ advocate, do you expect Britain's EU withdrawal to get messy? Julia Reid: Obviously, we were disappointed that Andrea Leadsom decided to withdraw from the leadership campaign, because she did campaign very successfully on behalf of Brexit. Those of us who did campaign, we ‘Brexiteers’, really do believe that it would have been far better to have had somebody who actually campaigned on behalf of Brexit conducting these negotiations. But we are where we are. Theresa May has said: ‘Brexit means Brexit.’ But there are some concerns. We heard Chris Grayling said about controlling immigration and we’ve heard on the grapevine that Theresa May favors the Norway option… But this would not be our preferred option. We would like to see the UK leave EU completely, we don’t feel that we need to be part of the single market, because countries like New Zealand, Australia, China and the US export goods into the single market, but they are not part of the single market; there is no freedom movement of peoples between those country in the EU. We would like to be in a similar position. RT: May's fellow Conservatives describe her as tough, putting faith in her abilities to deal with EU leaders. Has she got what it takes in your view? JR: We are not quite sure what she is going to be pushing for, that is our concern. We did know with Andrea Leadsom that she said if she had been elected to be Conservative party leader and the PM that she would invoke Article 50 immediately, as soon as September. But now obviously we are quite worried, we are worried when Article 50 will be invoked. So, at the moment we have a lot of uncertainty. And over 70 million people voted to leave EU, they voted to have immigration from the EU under control. And they will be extremely worried at the moment that perhaps what we campaigned and what they voted for, we might not actually get what we wanted.